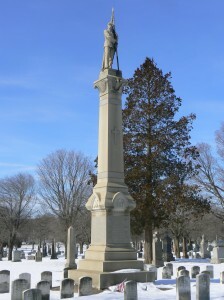 The Soldiers’ Monument in New Haven’s St. Bernard’s Cemetery was dedicated (most likely) in 1889 by the state of Connecticut to honor residents killed in the Civil War. 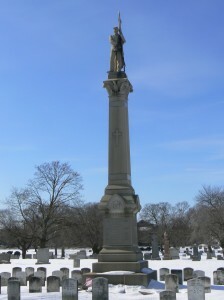 The monument is different from many war monuments of the era in several ways. 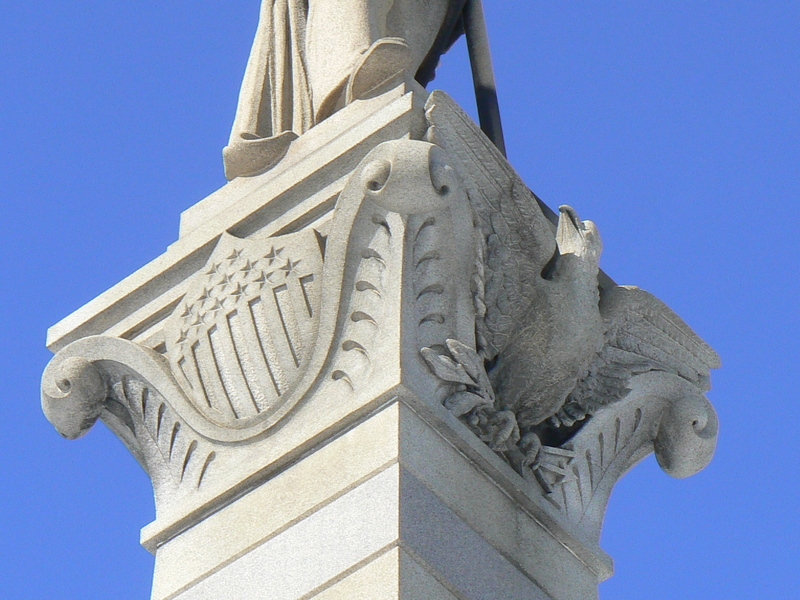 For example, the solider atop the monument is a flag-bearer, instead of the more common infantryman holding a rifle. 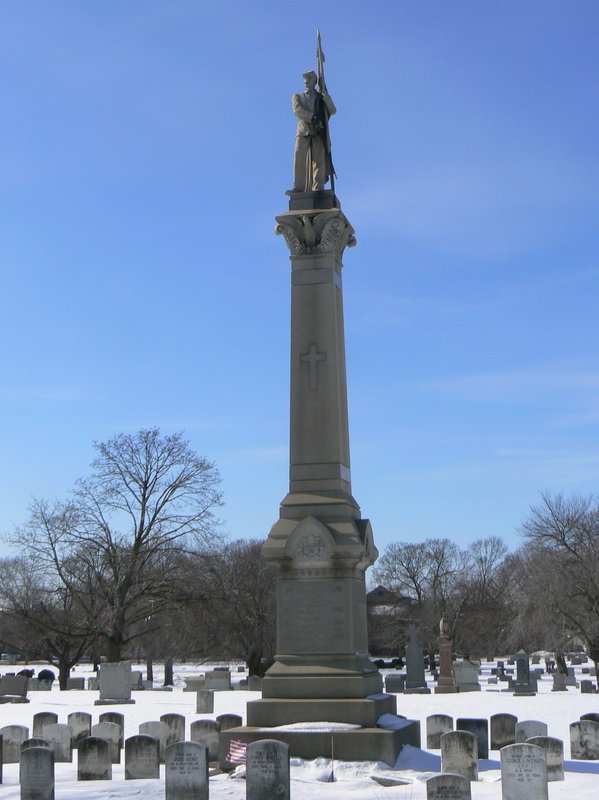 In addition, the large cross on the front of the monument is unusual, and probably reflects the monument’s construction in a Catholic cemetery. 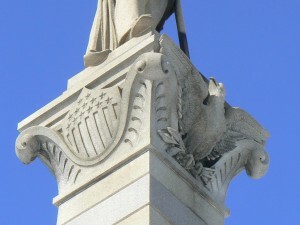 A stone eagle graces front side of the top of the column, beneath the soldier’s feet, and the other three sides have shields decorated with a stars-and-stripes motif. 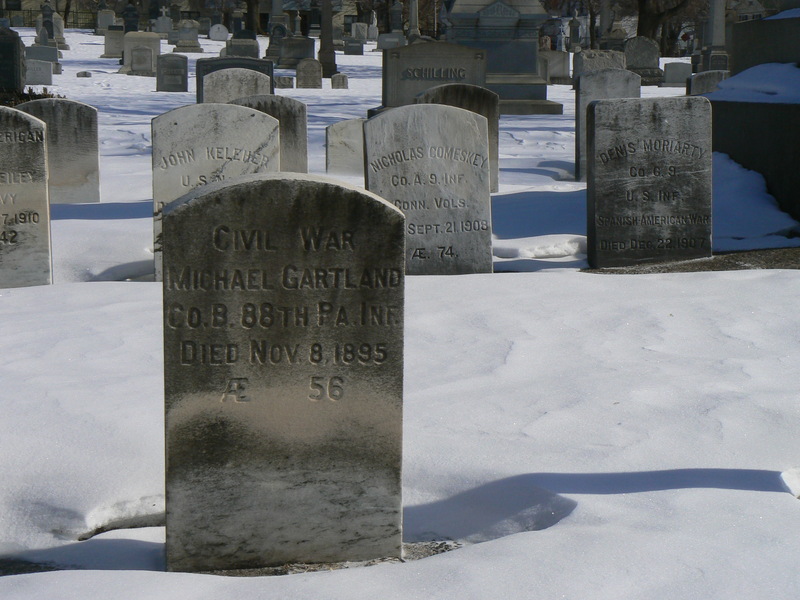 During the Civil War, Connecticut furnished 55,861 troops, sailors and marines to the Union effort, and 5,354 were killed in battle, or died of disease, as prisoners, in accidents or from other non-battle-related causes. 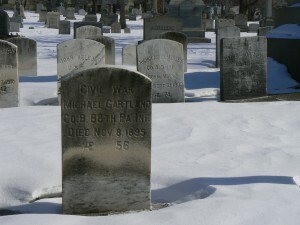 The area around the base of the monument in St. Bernard’s holds the grave sites of numerous veterans not only of the Civil War, but also other conflicts. St. Bernard’s Cemetery is within eyesight of the Defenders’ Monument profiled on January 28, 2009. 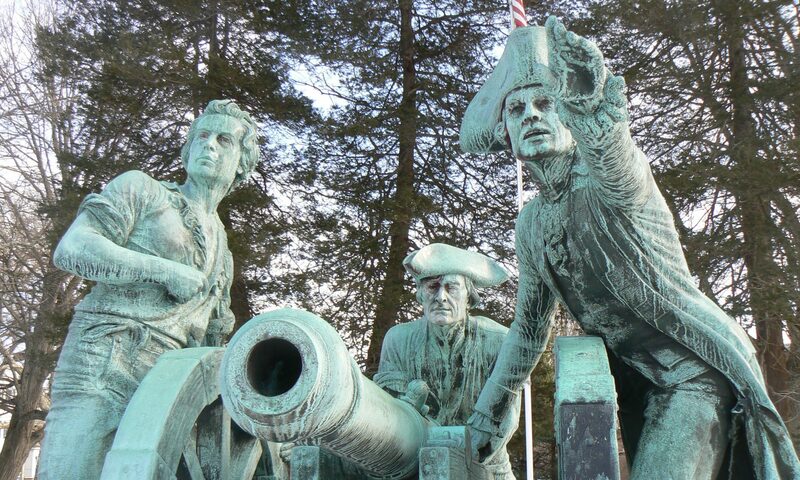 Next PostNext Lincoln Spoke Here. Kinda.